Dr. Mahesh K Maskey, Nepal’s former ambassador to China and the President of Nepal Public Health Foundation received one of the most honorable awards from Boston University on September 16, 2017 in a special luncheon offered in the campus on the occasion of its annual alumni awards. 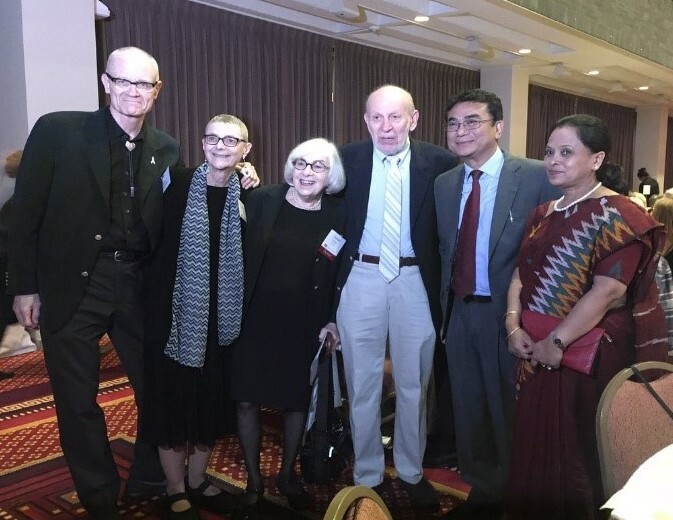 Dr. Maskey was honored with this award for his outstanding contribution in international health and human rights activism. The award was also shown live from university website during the ceremony process. Boston University School of Public Health has tweeted in its several statuses with pictures regarding the award.